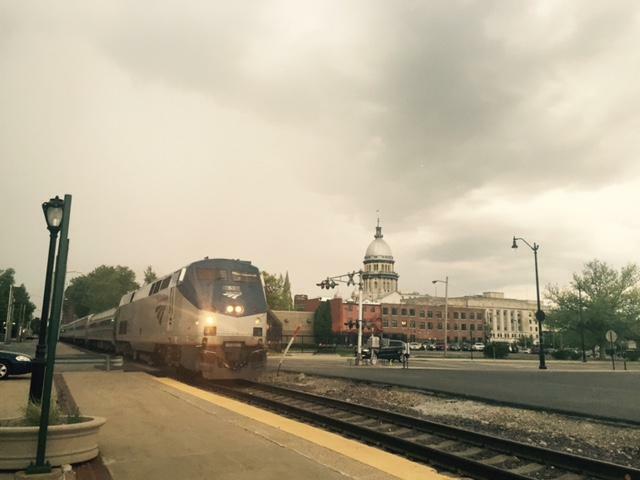 The former chairman of Amtrak told Illinois lawmakers Wednesday that service cuts are inevitable should Gov. 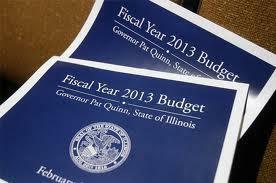 Bruce Rauner's proposed 40 percent funding cut takes effect. Fifty-six Amtrak trains run daily in Illinois. They run from Chicago to St. Louis, to Carbondale, to Quincy and up to Milwaukee, and more travelers are riding them. Amtrak's former chairman Thomas Carper says he can't say how many, or which of those routes will be dropped. But he says that will happen if Illinois doesn't come through with about $42 million. Gov. Bruce Rauner's right-to-work proposal will get a hearing today in the Illinois House. 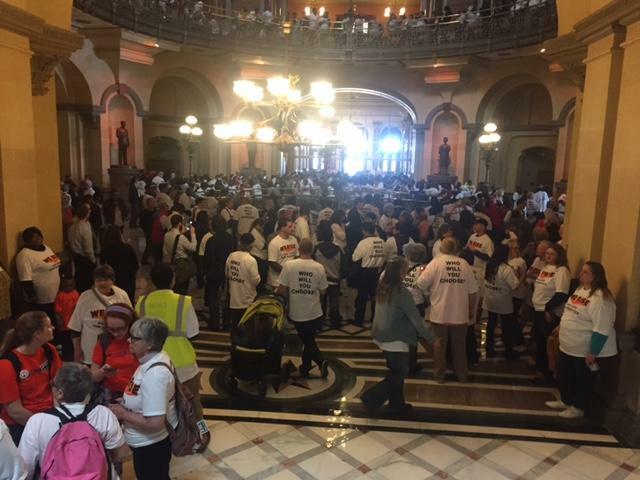 Unions are putting pressure on lawmakers to vote against the proposal. Though the Illinois House is set to vote on the Republican governor's idea of local right-to-work zones, it's not because Rauner's pushing for a vote. What's Next For Pensions, Now That Court Has Tossed Illinois' Law? It took legislators years of talking about Illinois' pension problem before they did much about it. There was a 2011 law that affects state employees, university professors, and public school teachers hired after that time. Then in 2013 they passed a law that reduced current workers' and retirees' benefits. 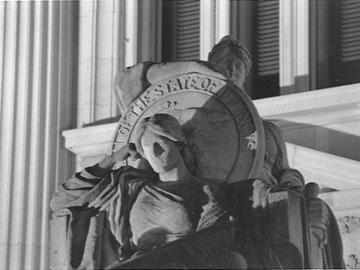 Nearly immediately, workers and their unions sued, calling the law unconstitutional. Gov. Bruce Rauner's proposal to cut the state budget took a spectacular fall Wednesday in the Illinois House. That means doing away with, or spending less, on everything from healthcare for the poor, autism services and support for older foster kids. No GOP legislator has actually introduced a bill that would precipitate those cuts. So in a surprise move, the Democratic Speaker of the House, Michael Madigan, took it upon himself. Illinois just overhauled its workers' compensation system in 2011, but lawmakers are considering further changes at the behest of businesses and Republican Gov. Bruce Rauner. The full Illinois House spent much of Tuesday in a rare, full committee meeting focused on workers' compensation. But they didn't vote. Businesses say workers' comp is one of their biggest competitive disadvantages compared with companies in neighboring states. It was weeks after Abraham Lincoln's death in mid-April, that has body made it from Washington, D.C. back to Springfield, Illinois. The lifting of a replica coffin from a car designed to look like Lincoln's funeral train began a series events this weekend in Springfield, commemorating the 150th anniversary of the president's death and burial. There's a new player in a battle over energy policy that's playing out at the Illinois Capitol. Exelon wants support for its nuclear plants, a renewable energy coalition wants to require more wind and solar, and now a coal company and its supporters want in on the action. 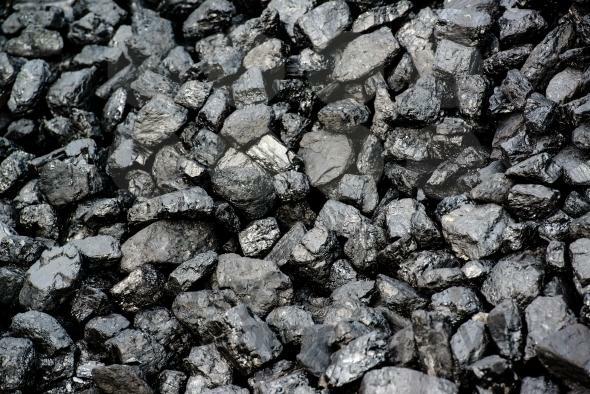 The latest push would give the state's coal industry a boost. Rauner Reverses "Good Friday Cuts"
A top official with Gov. Bruce Rauner's office confirms, Illinois will restore $26 million in funding for a tobacco quitline, programs for autistic children and other social service grants. Projections show the state is taking in more money than expected. While some cuts will remain, the windfall frees up money to reverse the cuts Rauner made with little warning on Good Friday, in early April. There's a hold-up over efforts to programs dealing with autism, drug prevention, and more from ending. It seems like advocates should be celebrating. After Gov. Bruce Rauner says he was forced to earlier this month suddenly pull $26 million worth of state grants, the Illinois Senate used the legislative version of searching under the couch cushions for change. Twenty-seven people are out of a job at Illinois' Tobacco Quitline, which means there's no one left to answer the phone. For the past 15 years, Illinois smokers could dial 1-866-QUIT-YES, and a tobacco treatment counselor or nurse would answer. Try calling now, and there's a message saying: "Your call is important to us. Unfortunately, Quitline funding has been suspended due to budget cuts and we will be closed until further notice." Social service agencies are reeling from sudden budget cuts. More could be on the way. Spring Break's Over! With Summer Overtime Ahead? 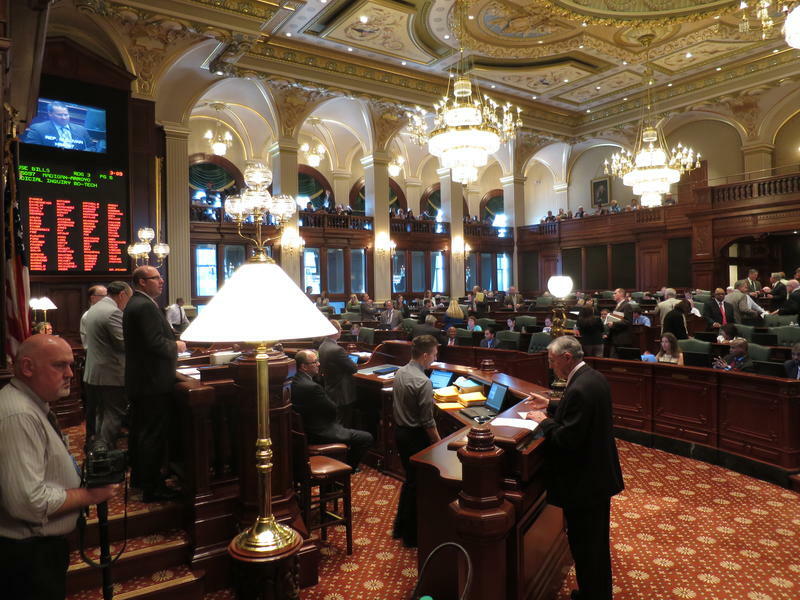 Illinois legislators will return to Springfield this week after a two-week break. There's some suggestion it will have been their last hiatus for a while. Legislators are set to spend much of the next seven weeks in session. There's a lot to do: Gov. Bruce Rauner is pushing a massive agenda. 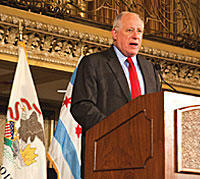 He wants to overhaul the workers' compensation system, and to give municipalities the ability to rein in labor unions. Plus, there's dealing with a $6 billion deficit. Gov. Bruce Rauner says he choose to award business tax credits to uphold Illinois' trustworthiness with companies, but the Republican's critics are calling it "beyond the pale." Social service organizations are still reeling from the unexpected news they received a week ago that Gov. Rauner was immediately cutting off their state grants. No longer would there be money to bury the indigent. Funding for The Autism Program, eliminated. Funding stripped from addiction prevention. Cuts totaling $200 million. U.S Sen. Mark Kirk will face a challenge from Congresswoman Tammy Duckworth, who announced Monday she'll run for the seat. It's unknown who else will vie for the spot, but it's already expected to be a tight race. 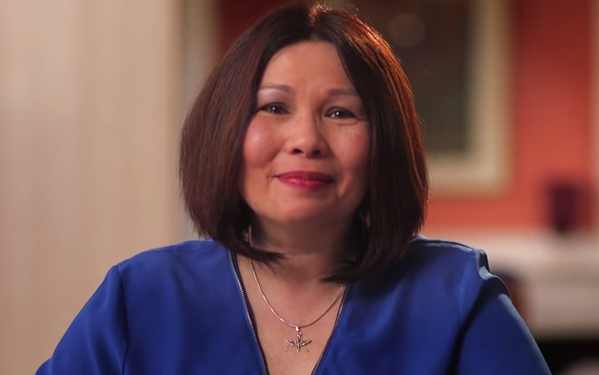 Duckworth, who was elected to the U.S. House in 2012, took to YouTube to declare her candidacy. 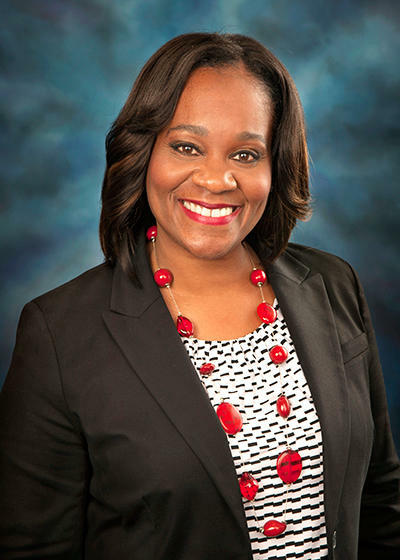 "I'm running for the U.S. Senate in 2016 because it's time for Washington to be held accountable, and to put Illinois' families and communities first," she said in the video. 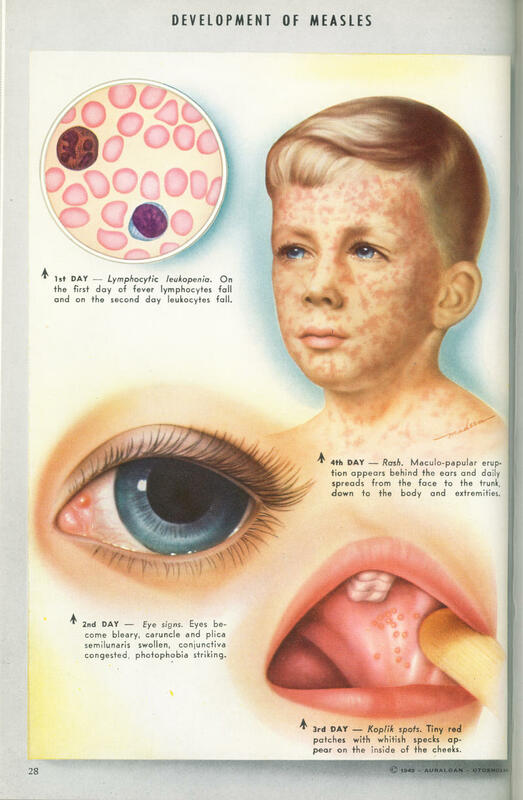 Legislators are trying to protect kids from measles, without offending anti-vaccine parents. The outbreak of measles at a Palatine learning center in February has lawmakers wanting to protect children, but it's a politically sensitive topic. Illinois' Congressional delegation is trying to get the Federal Emergency Management Agency to revise how it distributes aid after natural disasters. 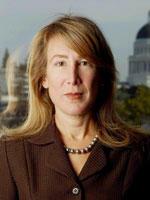 As WUIS has previously reported, the lawmakers tried before to no avail. When a tornado touched down in southern Illinois several years ago, devastating the small town of Harrisburg, FEMA turned down Illinois' request for disaster assistance. Republican Bruce Rauner has signed a temporary budget fix -- his first law since becoming governor earlier this year. Illinois' budget has a $1.6 billion dollar gap --- the result of a spending plan Democrats passed in the spring; some had hoped then for a post-election tax increase that never came to fruition. Democratic Senator Heather Steans of Chicago says this will fill that gap. The many years legislators spent crafting a measure to rein in the state's pension costs came to a head yesterday in 52-and-a-half minute hearing before the Illinois Supreme Court. It's now up to the seven justices whether a law that reduces employees' and retirees' benefits is constitutional. Even before then-Gov. Pat Quinn signed the pension overhaul into law just over a year ago, everyone knew it would come to this. A legal battle over union fees is brewing, between Illinois Republican governor and Democratic Attorney General. 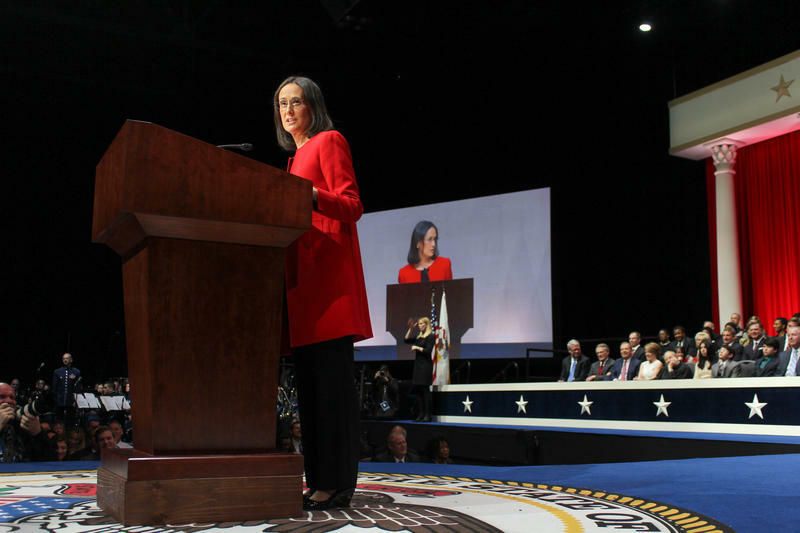 Illinois' Attorney General says Gov. Bruce Rauner had no authority to bring a fight over union dues to federal court. She's trying to dismiss the case. Republican Gov. 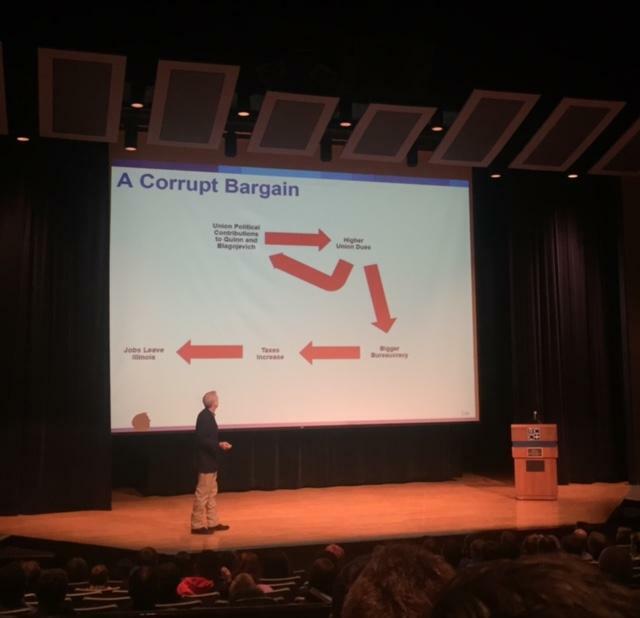 Rauner is trying to get rid of so-called "fair share" dues on two fronts: he's ordered state agencies to stop collecting them, and he's suing in federal court to toss out the underlying state law that requires them. Unions are taking Gov. Bruce Rauner to court over his attempt to get rid of so-called "fair-share" dues. Illinois law requires workers who are not members of unions to nonetheless pay a fee, for the benefits unions secure on their behalf. Rauner had issued an executive order eliminating that requirement. But labor leaders says that's a violation of the separation of powers; in other words, a governor can't unilaterally toss out a state law. Some of the main architects of the Illinois law that seeks to save the state money by reducing workers' pensions have begun collecting pensions of their own. On March 11, the Illinois Supreme Court will hear arguments for and against the pension overhaul signed into law late in 2013 by then-Gov. Pat Quinn. If it succeeds, Quinn, like other retired state employees, will see his the size of his future retirement benefits shrink, as the law does away with compounded cost-of-living increases. 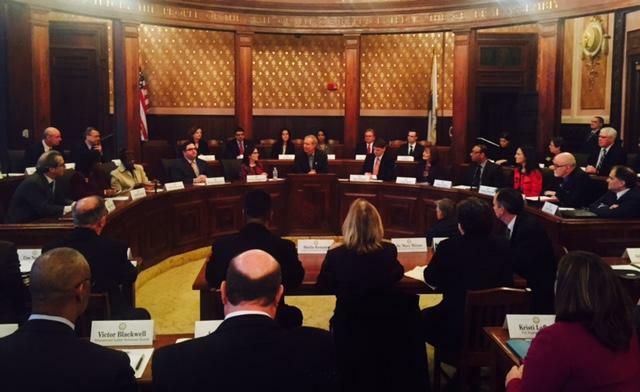 Just over 50 top state officials came together this afternoon for their first cabinet meeting with Illinois' new governor, Bruce Rauner. Journalists were invited to hear the Republican's opening remarks. Rauner's Cabinet gathered in one of the capitol's largest, and nicest, committee rooms; members milled about, making small talk and introductions. Some were recently appointed by the governor and are new to Illinois government; others are holdovers from former Gov. Pat Quinn's administration. Pensions' big day before the Illinois Supreme Court has been set for next month, on March 11. 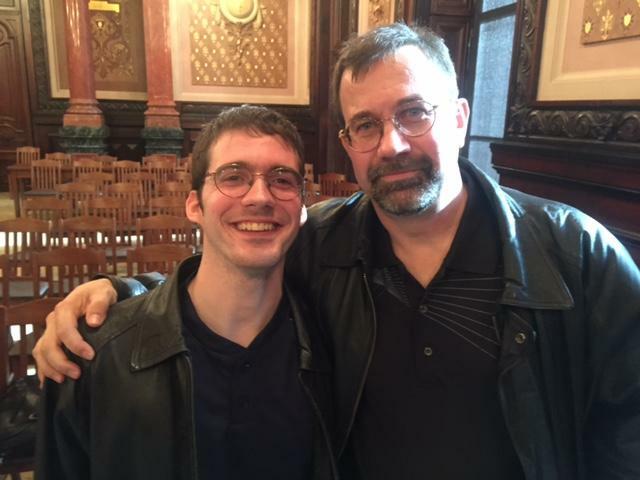 I was honored to be on a panel recently (before Gov. Bruce Rauner's budget address, so no talk about his latest proposal), along with the Civic Federation's Laurence Msall, Sen. Daniel Biss D-Evanston and Sen. Matt Murphy R-Palatine, to discuss one of the state's most controversial, pressing and expensive issues. During his inauguration speech, Illinois House Speaker Michael Madigan announced a new mission -- figuring out what Illinois can do to prevent violence, like mass shootings at schools. A bipartisan task force formed to study the issue will meet for the first time today in Chicago. Look back at the shootings at Sandy Hook Elementary School, Columbine, Northern Illinois University, and Rep. Greg Harris says you'll see commonalities. Like missed opportunities to help the killers with mental health issues that had been detected, but weren't properly treated. Next week, Gov. Bruce Rauner will unveil his spending proposal. The non-partisan Civic Federation has some suggestions. The Civic Federation’s Director, Laurence Msall, says Illinois’ budget isn’t just in bad shape; its condition is terrible ... and climbing out of it won’t be easy. “These are not politically attractive answers. There are financial, reality-based suggestions on how the state can stabilize its finances,” he says. Funding for everything from state-subsidized daycare to court reporters' salaries is running out in Illinois. At the same time, Republican Governor Bruce Rauner has signed on a top aide for a contract worth $30,000 a month. 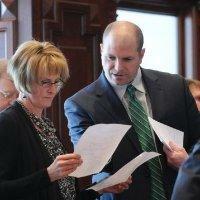 Donna Arduin may not be a household name in Illinois yet, but as Rauner's Chief Financial Officer, she may become on. A day after Gov. Bruce Rauner proposed a seven year time frame to bring Illinois' minimum wage to $10 an hour. The Illinois Senate approved a plan that would make that happen by 2017. The Senate, or its Democrats, anyway, passed a minimum wage hike late last year. It died after stalling in the House.